Track: I Do ft. Young Dro & T.I. Tomorrow, T.I. will attend a sentencing hearing to determine exactly how much time he will spend in federal prison (though he&apos;s expected to serve exactly one year, his extensive community service might shorten the sentence). As I&apos;ve said before, Grand Hustle is stepping their game up in the meantime, so you can expect to see plenty of Booth features from their roster in the months ahead. 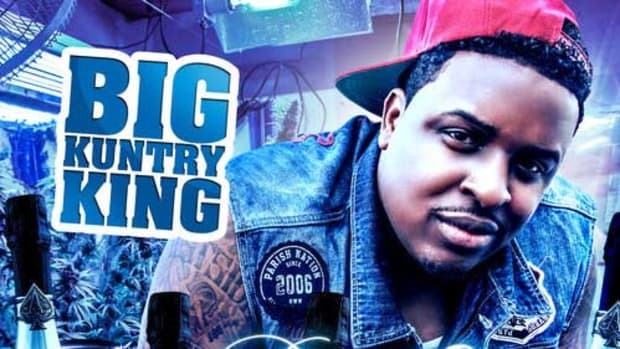 The latest to hit our front page is Big Kuntry King. Hoping to rebound from My Turn to Eat&apos;s disappointing sales, Kuntry has enlisted his label&apos;s dynamic duo to once again stunt about everything I Do. As Young Dro gets his sing-rap flow on, Tip takes the title one step further, stating that he&apos;s married to the game. The highlight, however, is the beat by Nard & B (who will be showcased in an April "Behind the Booth" feature), which is sure to evoke comparisons to Polow da Don&apos;s boardwork on Rich Boy&apos;s smash-hit Throw Some D&apos;s. Though Kuntry&apos;s currently-untitled sophomore album currently has no release date, expect plenty more coverage in the coming months.